As the line of storms continues to move eastward through the east-central and south-central parts of the area, the threat for strong to severe storms has ended for those locations west of the squall line. The Storm Prediction Center has trimmed the Slight Risk back to the east and southeastern parts of the area through the rest of the afternoon and into the evening hours. 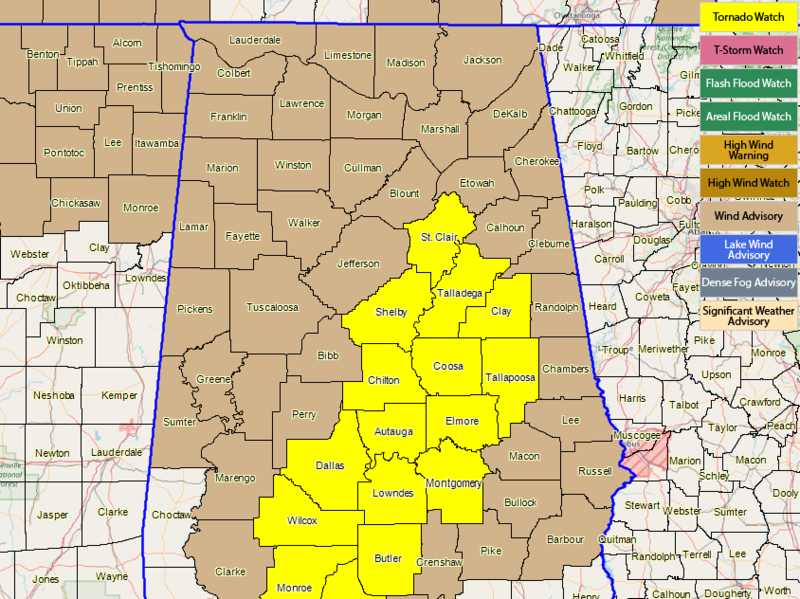 More counties have been removed from the Tornado Watch, including Bibb, Jefferson, and Perry counties. The Tornado Watch continues until 5:00 pm for Autauga, Chilton, Clay, Coosa, Dallas, Elmore, Lowndes, Montgomery, Shelby, St. Clair, Talladega, and Tallapoosa counties. A Wind Advisory continues and has been extended in time for all of Central Alabama until 12:00 pm Sunday as sustained winds will continue to stay around 20-25 MPH with gusts exceeding 40 MPH at times. 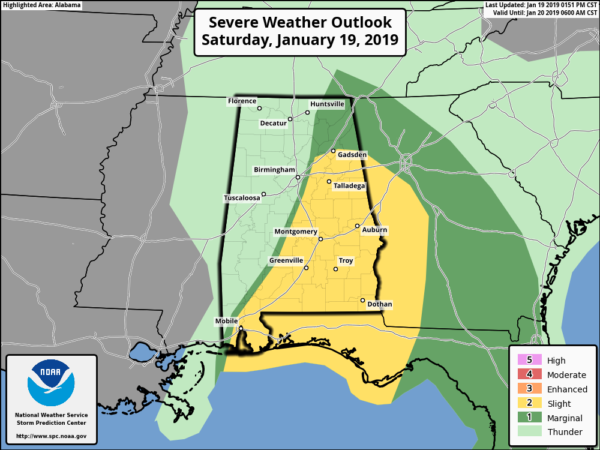 The North Alabama counties have been extended until 7:00 am Sunday.